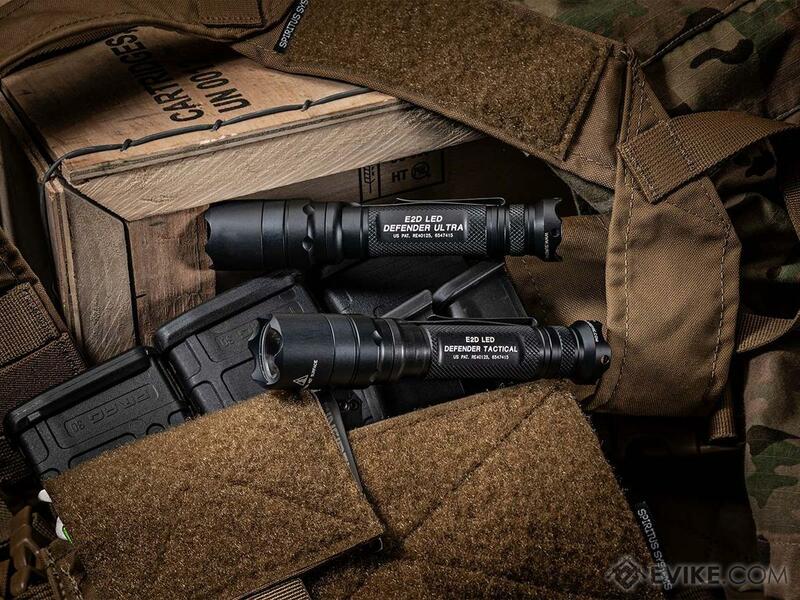 Whether you prefer the versatility of the E2D Defender® Ultra or the straightforward simplicity of the E2D Defender® Tactical, SureFire has developed the superlative everyday-carry tactical light. The Defender lives up to its name in more ways than one. Machined from aerospace aluminum, its crenelated Strike Bezel®, and scalloped tail cap turn this robust illumination tool into a potential impact weapon, so it can take a beating—or give one if necessary. The Defender body also features a Type III Mil-Spec hard-anodized coating for abrasion and corrosion resistance in foul weather or other adverse environments. A bolstered dual-function pocket clip makes bezel-up or bezel-down pocket storage easy too. 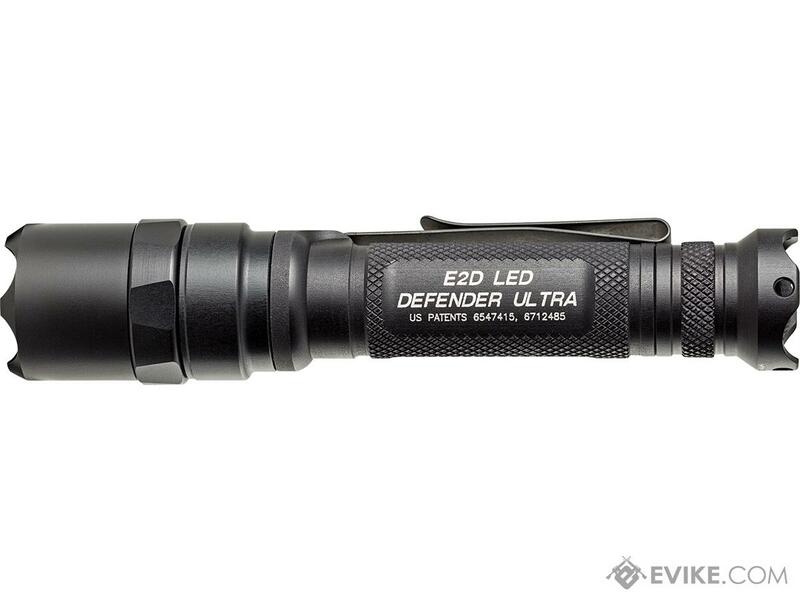 The single-output E2D Defender Tactical (E2DLU-T) utilize SureFires virtually indestructible high-performance LED. The very heart of these slender and powerful lights, it pumps out an intense, 1,000-lumen beam, precisely focused through our optimized Total Internal Reflection (TIR) lens. Thats plenty of output to momentarily disorient virtually any adversary and gain a crucial tactical advantage. With a simple click of their push-button tail caps, both Defender models deliver a continuous high-output beam for a minimum of 2.75 hours. The Ultra adds the extra value of dual-output capability. Clicking its tail cap twice yields a battery-saving 5 lumens, ideal for the most basic low-light tasks such as map reading and other close-range applications. And with a continuous low-output run time of 63 hours, you can trust the Ultra to keep you company from sunset to sunrise. 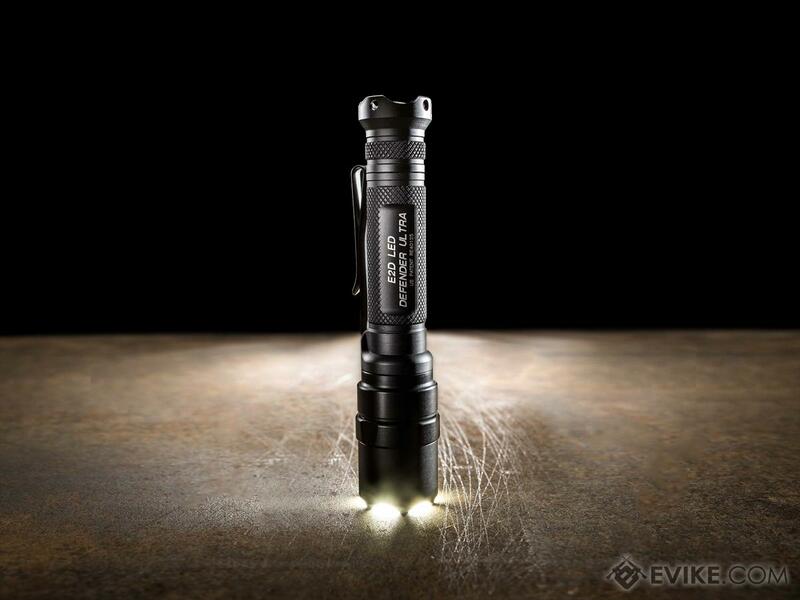 The flashlight, to many a handy tool, but to military special operations teams, SWAT, Search & Rescue, and other demanding SureFire customers it's a crucial piece of life-saving equipment. That's why we engineer and manufacture no-compromise illumination tools built to outperform and outlast anything you might have previously called a flashlight. 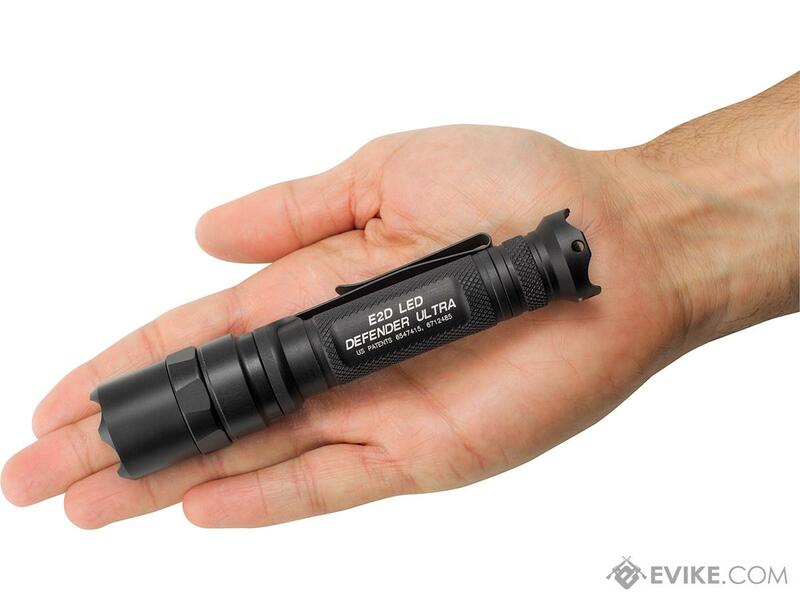 Compact, lightweight, and virtually indestructible, you'll feel the difference just by holding one. Turn it on, and you'll see that no finer light exists anywhere. 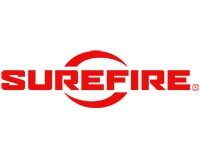 SureFire-maker of the world's finest illumination tools. 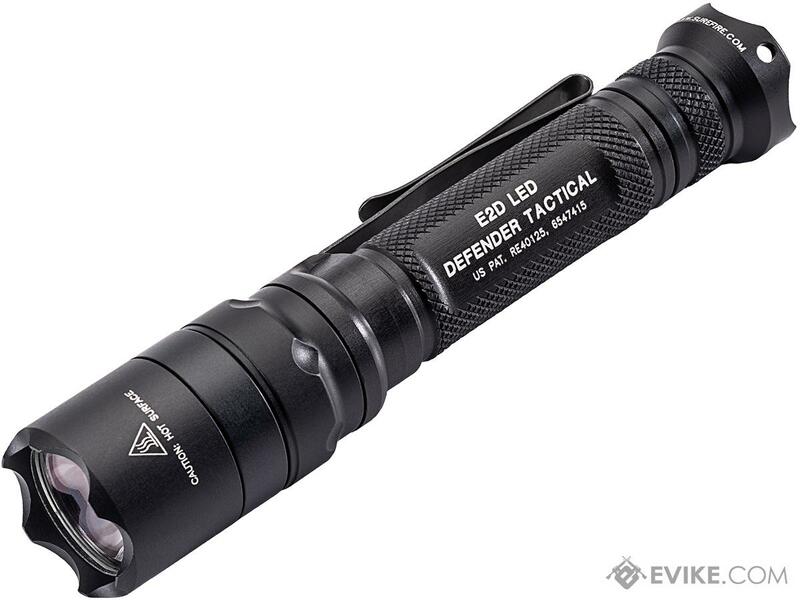 Discuss about Surefire E2D Defender Tactical Flashlight with your friends and fellow Evike.com shoppers!